Before the accusations that I work for Microsoft begin, let me start by saying that I am a huge Apple fan. In fact, I was in a lawn chair at 1:00 in the morning to get my hands on the iPhone 5. If that does not say fanatic, I do not know what does. Next year, I will be going off to college. To complement my college education, I wanted a high quality tablet that I could use to read my books and complete assignments on. While I do have a HP Touchpad with Android on it, I wanted an upgraded experience. My eyes were pointed at the iPad Mini or iPad Fourth Gen. Then, I walked into a mall, where I saw a stand advertising the new Microsoft Surface. I had seen it before, but this was the first time that I was able to use it in concrete form. It felt like something that I had never seen before; it was a tablet that doubled as a PC on-the-go. While the sleek, high-quality design shouted Apple, it wasn’t Apple. Most Android tablets have simply stolen design cues from Apple, but this design was different. The edges were sharper and the design just felt different, but in a good way. After trying it several times, I had made my hard decision; I had ditched Apple and placed the Microsoft Surface at the top of my Christmas list. As I opened it on Christmas Day, I was impressed by the quality of the packaging. Once again, it felt like Apple, but it didn’t. It is hard to describe until you use it. It’s been four days since I got my Surface, and I still enjoy using it as much as the day that I got it. I simply do not understand why people have been so quick to bash this product and go on about how it does not run old Windows programs. Do you really want a tablet that runs traditional Windows? 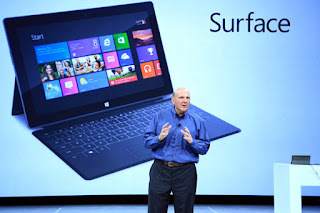 The thicker Surface Pro, with all of the problems as Windows, just does not appeal to me as the Surface RT does. Over the past few days, I have been using my Surface for many tasks. One of the largest things that draw people away from it is the “terrible” app store. However, I was surprised to find that it really was not that bad. It’s no Apple App Store, but who expected that from a product line released two months ago? 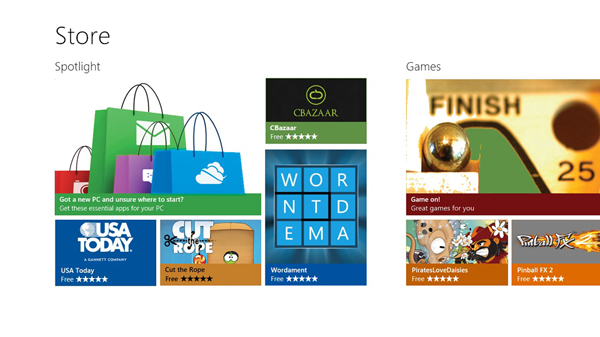 Impressively, the Windows Store has managed to get 35,000 apps and has been growing with over 400 new apps every day. My home screen is already blooming with apps. The Surface is great for reading news, as Pulse News Reader, the New York Times, USA Today, Zinio, and many other apps are already in the store. While there are no native Facebook or Twitter apps, there are many great free alternatives, some of which may even be better than the native app. MetroTwit displays all of your Twitter feeds in a colorful, friendly interface and has one of the most appealing designs. Productivity is where the Surface really shines. Included is Microsoft Office 2013, with Word, PowerPoint, Excel, and OneNote. In addition, the OneNote Metro Windows 8 UI app is also available. Coupled with the Touch Cover, Office 2013 on the Surface is great for writing papers on-the-go. I was confused by the fact that many people were angry that they could not type with it on the couch. I could type just fine with the Surface and kickstand on my lap. I am also convinced that the Surface is the best tablet available for media consumption. It is bundled with many services, including free music streaming and movie rentals, right out of the box. However, this is not the most exciting part. The thing that really impresses me is the fact that any show viewable on a computer is viewable on this device. The old Internet Explorer 10 runs nearly any website you desire seamlessly, including Hulu, CBS, ABC, and many other television network sites. In addition, the Surface can hold up to 64 GB microSD cards, meaning that you can put many of your favorite movies on it without worrying about taking up internal storage. The Surface shines when watching movies. The elongated screen is perfect for cinema-style video in high definition. While games are not as plentiful on the Surface yet as the iPad, the Surface is not a bad gaming device. It comes with Xbox Live, where you can view your profile, earn achievements, and even dress your avatar. There are already many great games including Angry Birds Star Wars, Fruit Ninja, Where’s My Water?, Adera, Cut The Rope, Guns4Hire, and SoulCraft. Recently, NVIDIA even released an app dedicated to Windows RT devices, showcasing the best games and what is yet to come. According to their app, Shadowgun, Dead Trigger, and a few other great titles are already in development. The operating system is the first tablet OS that feels like it was developed for a tablet. 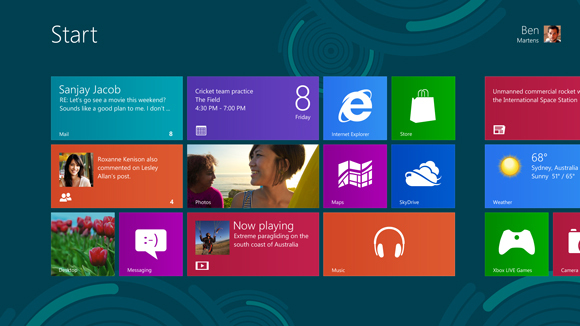 The Windows UI feels great, with dynamic information and images feeding into the tiles at all times. The charms bar is also great because it allows a simplified, yet more advanced, way of sharing media, changing settings, and searching apps. Windows RT and Windows 8 have the best gesture integration seen since WebOS. Swipe down to close an app. Swipe up to reveal more information. Swipe left to switch apps, pin a second app to the screen, or show all recent apps. Many people have criticized the ambiguity of Windows RT, but I think the desktop mode is one of its most impressive features. The Surface RT has the best file browser available on any tablet. The Control Panel holds advanced options, and the newly updated Task Manager is available at your fingertips. Internet Explorer 10 in desktop mode runs greatly. People that say the only useful thing on the desktop is Office must have never discovered its full potential. The hardware of the Surface is even more incredible than the software. The magnesium case is extremely attractive and is much more durable than the aluminum casing found on the iPad. In fact, videos have even shown people drop-testing them with no scratches appearing! In addition, a Microsoft employee even rode the Surface as a skateboard. When I heard about the kickstand, I was concerned that it would bulge out like most poorly made ones. However, it is hidden seamlessly into the body of the device. Hidden under it is the MicroSD port. In addition, the device has a USB and microHDMI port. Microsoft has touted that the USB port works with thousands of devices. The internals are also great. 2 GB of RAM and a 1.3 GHz Tegra 3 processor ensure that everything on the tablet is quick and responsive. The only downside of performance is the initial load time of some apps, which, while fast enough, may seem a bit sluggish sometimes. However, once an app is loaded, it responds fluidly every time it is relaunched. The display of the Surface is a bit disappointing compared to the Retina Display iPad, but it is not a deal-breaker. It still has a 720p resolution and because of ClearType, the text appears much more sharp than other devices at this resolution. The Touch Cover is equally as exciting. It amazes me how they managed to fit a keyboard into a 3 mm cover. While it takes some getting used to, I managed to type several essays at decent speed on it already. The Touch Cover does not include tactile keys, but the slightly thicker Type Cover is available for a more traditional experience. Both keyboards also include a surprisingly responsive touchpad for operating a mouse. I would highly recommend the Surface for anyone that is knowledgeable about technology. However, because of its steep learning curve, I cannot recommend this to those that have trouble operating computers. If you are a tech geek, you will pick it up right away. However, if you are not, you may have some trouble figuring it out. If you are an app addict, you may want to steer away from this tablet until more apps are available. However, with Windows being the most used operating system in the world, I suspect that the Windows Store will someday be equally as large as the App Store and Google Play. 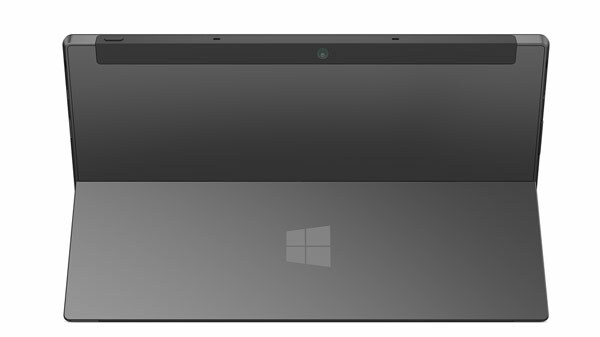 Do not expect the Surface to be a full computer replacement; that goes against the point of why this tablet was created. 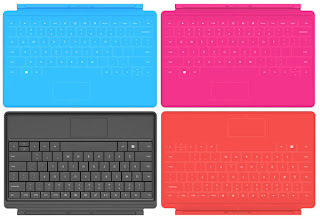 The Surface RT was meant to be an advanced tablet that doubles as a computer whenever you need it. The computer part of it is not a full replacement to your computer, but an option available when you do not have your computer at your disposal. The Surface RT is, by far, the best tablet for getting things done, while having some fun. For this reason, it is the best tablet for any college student or person in business that is knowledgeable in technology. The Surface RT start at $499 for the 32 GB model. A bundle with the Touch Cover is available for $599. The Touch Cover and Type Cover are available separately for $119 and $129, respectively.